Akwa Ibom State Police Command has arrested eighteen male suspects for trying to hack JAMB website and UTME exam malpractice. Akwa Ibom Police PRO noted that the men were arrested on Monday 15th May, 2017 in a rented apartment at No.13, Lutheran Road, Ikot Ekpene, while trying to hack into JAMB Website to have access to exam questions. Isaiah Akpan Eshiet the suspects leader is said to be the manager of Gmail Computer Technology and Management Institute located at No.15, Lutheran Road, Ikot Ekpene. 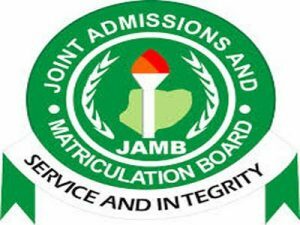 “The Institute was one of the centres approved by JAMB for candidates to write the examinations. The Centre Manager rented the office, which is about a few metres away from the Institute, to specifically perpetrate the crime. “Among the accomplices in the Command’s custody were scouts for interested candidates and those on standby, popularly referred to as mercenaries, who were to solve the exam questions and transmit answers to candidates in the examination hall at the Institute. Finally the commissioner of police Don Awunah reassured that the Command will continue to collaborate with all exam bodies in the state to eliminate cheats from the processes and safeguard their collective integrity. IF YOU ARE HAVING PROBLEM WITH CHECKING OF YOUR RESULT? PROBLEM OR COMPLAIN OF ANY EDUCATIONAL KIND? THIS IS A CHANCE FOR YOU TO UPGRADE YOUR JAMB SCORE FROM AS LOW AS 120 T0 260 ABOVE CALL JAMB OFFICE ON 09068661842 BEFORE IS TOO LATE.